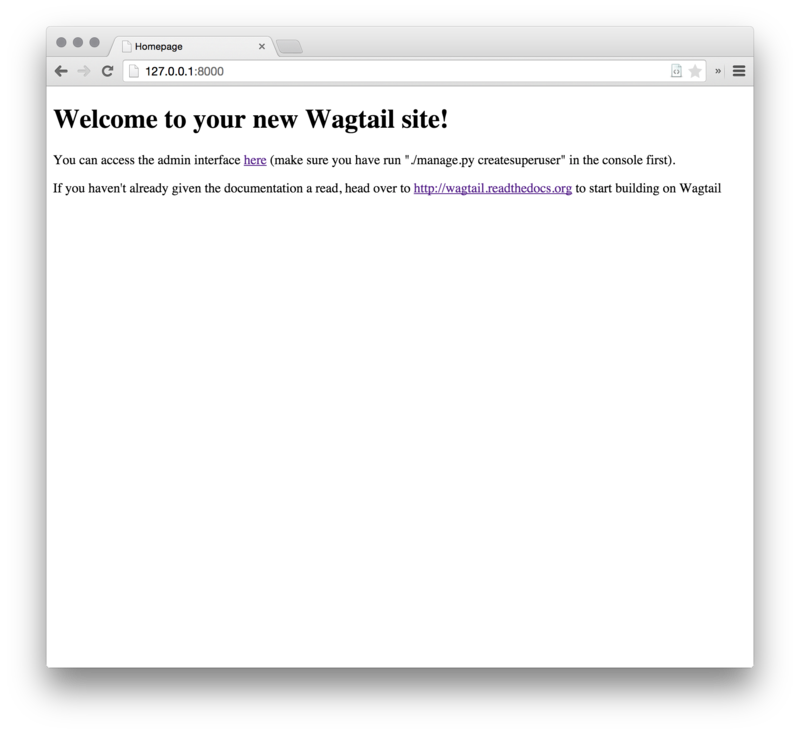 Wagtail provides a start command similar to django-admin.py startproject. 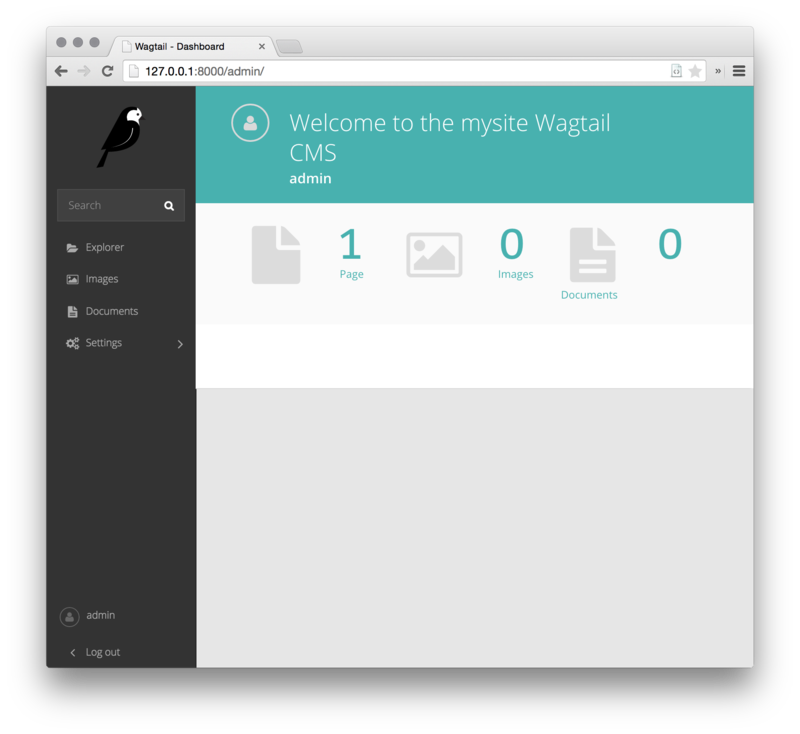 Running wagtail start mysite in your project will generate a new mysite folder with a few Wagtail-specific extras, including the required project settings, a “home” app with a blank HomePage model and basic templates and a sample “search” app. This ensures that you have the relevant version of Django for the project you’ve just created. If you haven’t updated the project settings, this will be a SQLite database file in the project directory. Out of the box, the “home” app defines a blank HomePage model in models.py, along with a migration that creates a homepage and configures Wagtail to use it. body is defined as RichTextField, a special Wagtail field. 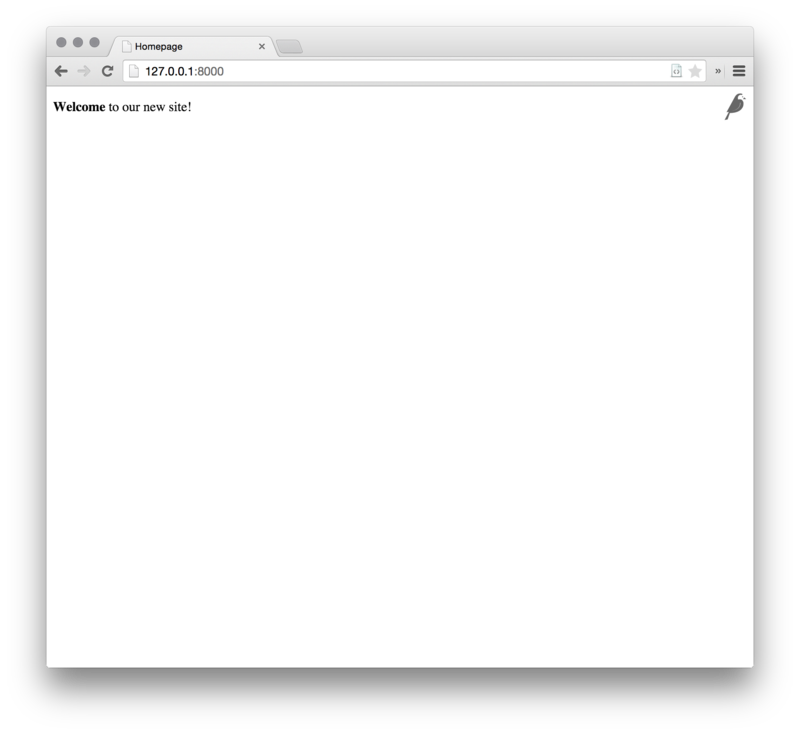 You can use any of the Django core fields. content_panels define the capabilities and the layout of the editing interface. More on creating Page models. Run python manage.py makemigrations, then python manage.py migrate to update the database with your model changes. You must run the above commands each time you make changes to the model definition. You can now edit the homepage within the Wagtail admin area (go to Explorer, Homepage, then Edit) to see the new body field. Enter some text into the body field, and publish the page. 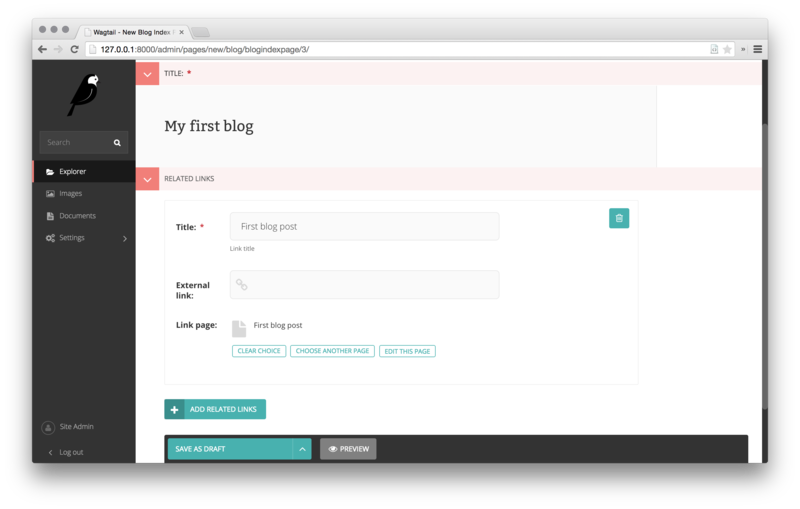 We are now ready to create a blog. To do so, run python manage.py startapp blog to create a new app in your Wagtail site. 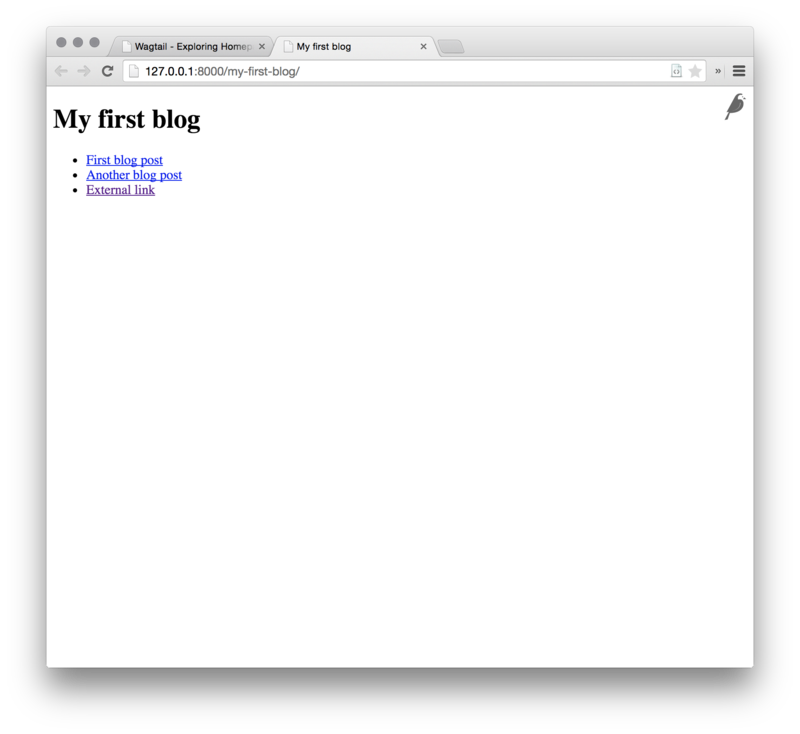 Add the new blog app to INSTALLED_APPS in mysite/settings/base.py. Run python manage.py makemigrations and python manage.py migrate. You can read more about using images in templates in the docs. 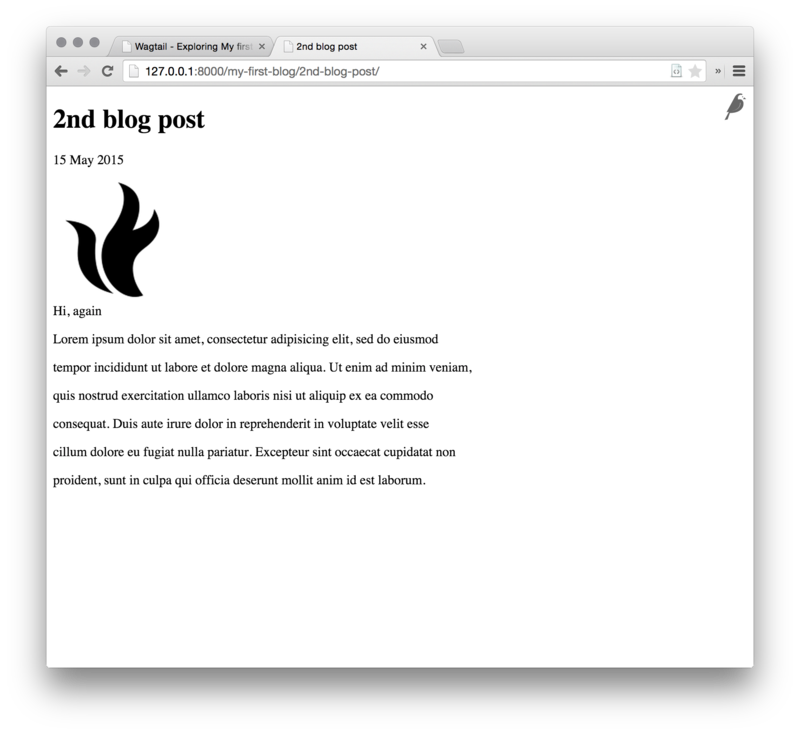 Let us extend the Blog app to provide an index. The above creates an index type to collect all our blog posts. 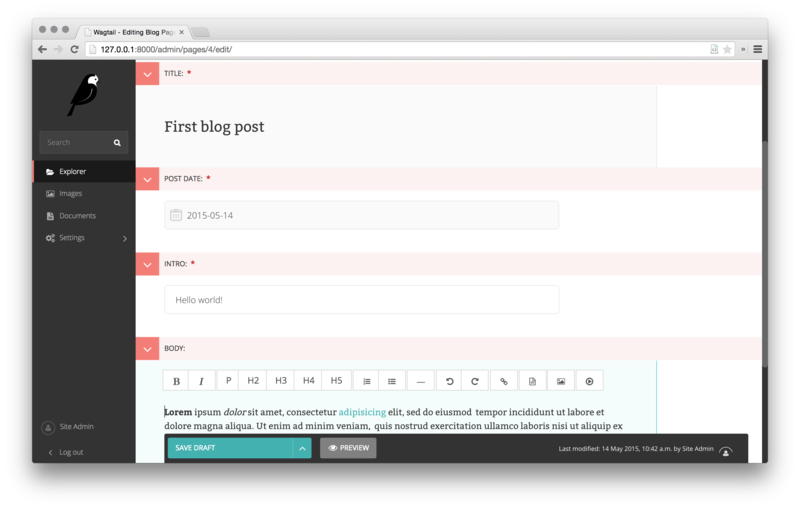 You now have a fully working blog with featured blog posts.